Since President Trump’s election, the U.S. Environmental Protection Agency (EPA) has turned off its massive regulatory printing press. The nation is still here, there have been no man-made environmental catastrophes, and job creation is quickly growing now that the business community is not under the daily fear of another regulation that will slash its profits, force it to lay off employees or put it out of business. The Trump administration has started to revise the three most costly regulations: Waters of the United States, the Clean Power Plan and automobile mileage standards. This effort will last well into the third or fourth year of the Trump administration – and then the lawsuits will begin. Equally important, while we need wholesale deregulation at EPA, it is likely that this administration will only make a dent in EPA’s historic overreach. The almost fifty-year history of the EPA regulatory process is like the mythological “Hydra,” a monster with many heads; when one was cut-off, two more grew back. Such an aggressive regulatory process crowned EPA as the most aggressive regulator in history. EPA alone has published over 25% of all the pages of regulations issued by all the agencies of the Federal Government, and almost twice as many as the much-derided IRS. Of the 28 most costly regulations issued in eight years by the Obama administration, EPA issued 13 of them. This situation places those seeking a long-term, rational regulatory process at EPA in a quandary. Determining what can be done to tame this monster is a complex undertaking, because stopping new regulations in one administration does not prevent many more regulations from being issued in another. However, considering EPA administrators of the past, the first change must be to ensure that no single person in the United States government can exercise the massive powers wielded by those past bosses. Such powers determine who gets a permit to operate, and who does not; what technologies a business must use; what lightbulbs are available for your homes; what gas we can buy; what chemicals can be used; where companies can mine; what local land use decisions will survive; and even where a pond can be built on private property. While the president of the United States has massive powers over war and peace, and sets the operating philosophy of federal agencies, the EPA administrator has direct power over the business operations … and thus the economy … of the entire nation. How should we restructure EPA to ensure the agency can still protect our environment – while controlling the massive amount of power exercised by one individual? Several mechanisms would tame this hydra. Perhaps the most important and most effective would be converting EPA from an Executive Branch agency to an independent agency directed by five commissioners: three appointed by the party holding the presidency and two from the other party. This commission-style agency would limit the power to act by requiring that any final regulation be approved by a majority of the commissioners. While an anti-business president would still appoint a majority of anti-business commissioners, the minority commissioners would have access to all evidence and decision-making documents, and could file dissenting opinions on all final decisions. These dissents would allow discussion of the flaws in the majority’s reasoning – including facts, science, economics, costs and benefits. Under the current regulatory process, there is only EPA’s final rule and a record that can run hundreds of thousands of pages. 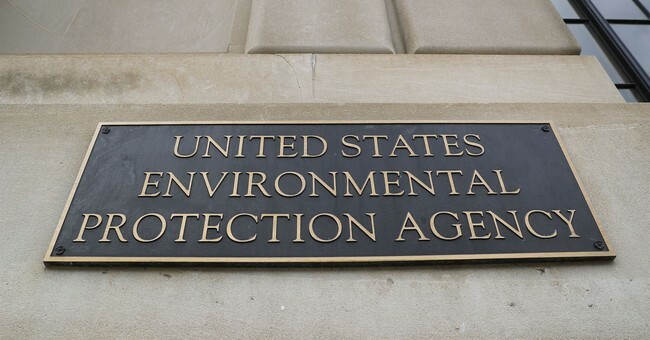 While the public is allowed to comment, the courts usually upholds EPA’s decision if it is “rational,” meaning the agency can point to some part of the record that supports its reasoning, and can conceal or ignore any parts that do not support its reasoning. Dissenting opinions would ensure that the reviewing court sees the flaws in the majority decision. This would be invaluable for good policy making, since the minority commissioners could also review and present all the science and economics used by the majority. That would enable the minority to keep an out-of-control agency in balance. Historically, EPA has not provided all the scientific studies and models to the public for review, analysis and comment. Having access to these documents would allow minority commissioners to point out not just flaws, but also deceptions, concealed facts and data, and hidden agendas. Other actions would enable EPA to bring focus and coordination to the 13 separate statutes it administers, largely in the absence of any mission statement or meaningful congressional direction. Those steps will be discussed in Part 2 of this article.